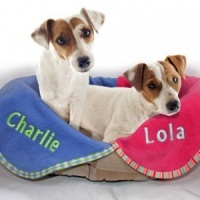 Incredibly cute dog name tag featuring a pretty ladybird. 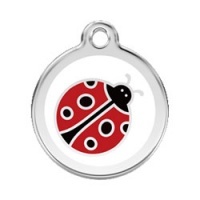 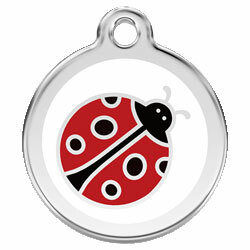 Hard-wearing polished stainless steel tag, in size large, with enamel Ladybug design. 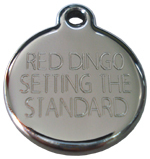 Made and deep engraved by Red Dingo.